Charles Taylor, in an essay “Irreducibly Social Goods,” argued for the existence of social goods that cannot be reduced to individual utility or welfare. His argument is that certain goods—e.g., frank and open relationships, self-giving heroism, friendship—cannot exist except in a common and shared culture, based on a common language, in which the goods acquire meaning; the culture is the locus of the good, not just collectively in its members. He discussed these social goods chiefly in political philosophy, and it might seem to have little economic spillover: social goods are not exchangeable market goods. However, it seems to me that Taylor’s argument informs Michael Sandel’s objections to certain markets, in that social goods open a space for moral considerations—otherwise obscured by a narrow focus on individual goods—as measured by cultural virtues. 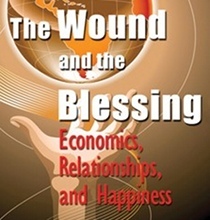 The economic way of thinking considers individuals as “choosing in response to expected additional benefits and costs to themselves” but does not assume they are “selfish or materialistic or shortsighted or irresponsible or interested exclusively in money.” Everything depends on what constitutes benefits and costs and their relative value; economic theory does not deny “generosity, public spirit, or any other virtue” (HBP, 6) and thus seems open to the inclusion of social goods as cost or benefit factors in individual economic decisions. Considering one of Sandel’s arguments, one might never think of degrading a friendship—a social good—by betting on the time of death of a close friend, yet may bet in a “ghoul pool” on the timing of celebrities’ deaths; moral considerations may constrain the former, but one may feel no moral restraint in the latter. As social games, “ghoul pools” incur moral social costs not only in agents’ depersonalized views of the unknown other, but also in a social evil that sanctions treating public figures with little or no dignity or respect. Similarly, monetizing children for their adoption value to the highest bidders would have high moral costs to some of our most valuable social goods in family relationships. Finally, I find Taylor’s argument cogent, yet meta-cultural questions remain. How might we cross-culturally or trans-culturally evaluate social goods, or agree on optimal or perfectionist cultural virtues, which seem necessary to give social goods normative force and avoid a morally contentless cultural relativism? Taylor, Charles. (1995.) Philosophical Arguments. Cambridge: Harvard University Press.